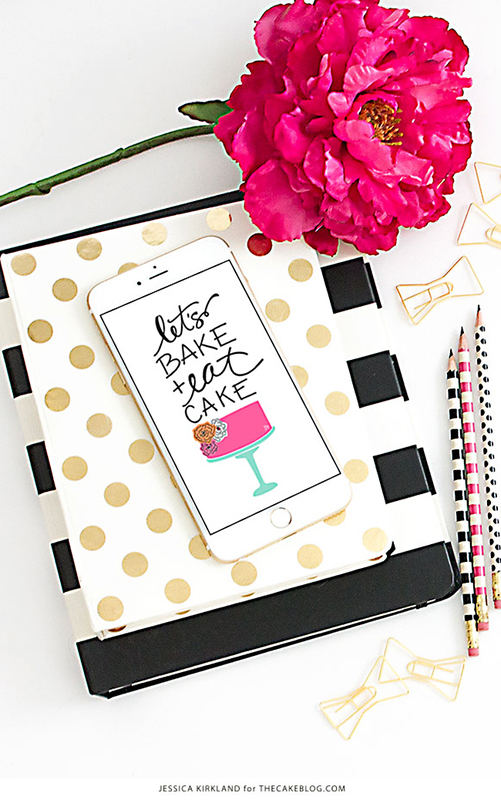 Here's this month's FREE printable I designed for The Cake Blog! Not only can you print it out but it's also available as digital wall paper for your digital devices!! Click here to download them all for FREE on The Cake Blog! There are so many cute cakes I'm excited about that have been posted on The Cake Blog lately. 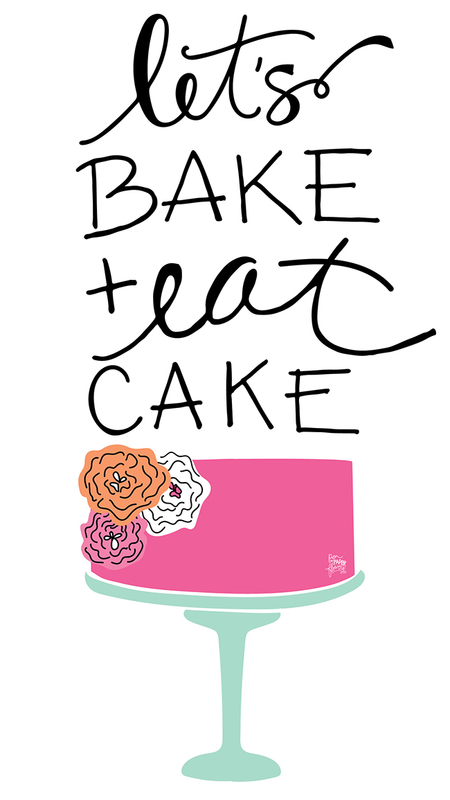 The digital design of the "Let's Bake + Eat Cake" was a last minute change from a really cute chalkboard version I had originally created. I'll be sharing that one on the blog soon for all of you chalkboard lovers! !